In the service of motherland. 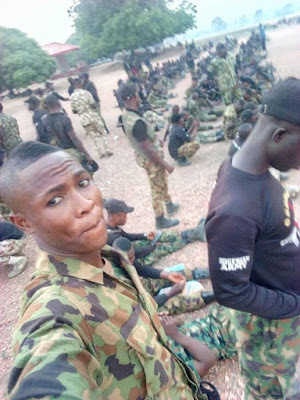 A young Nigerian soldier identified as Oluwatosin from Ibadan, Oyo state, has shared photos showing soldiers preparing to travel to Maiduguri, Borno state capital to fight Boko Haram insurgents. The need arose as some soldiers at the battlefield are getting tired and want to return home to their families. Some of the soldiers traveling to Maiduguri will take over from the ones who have been on duty for some time now. 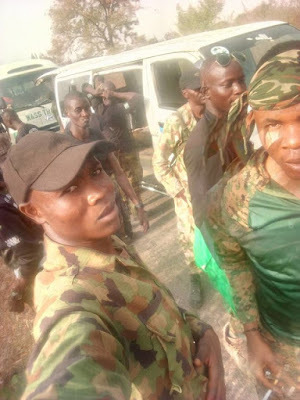 The troops left in a convoy while heading to their duty posts.